Cheema Farms is a fine place to stay while visiting Nayagaon. 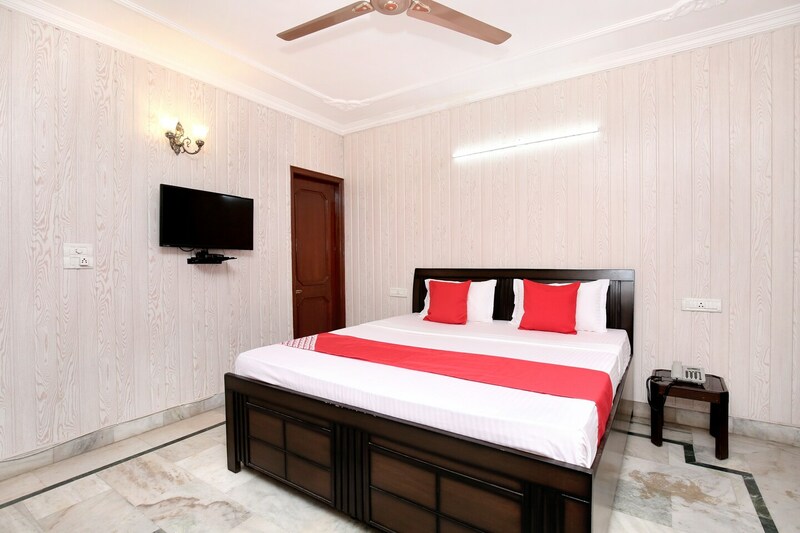 The rooms are well-designed and spacious with provided basic amenities for the comfort of the guests. The greenery all around adds a sense of serenity to the place for a peaceful stay. The bathrooms are equipped with geyser for guests. The seating area is also bright and furnished where guests can chill and enjoy some peaceful time. Power backup and CCTV cameras ensure the security of the guests. The hotel also offers parking facility for the convenience of the guests. Free Wi-Fi service enables guests to stay connected with social media.